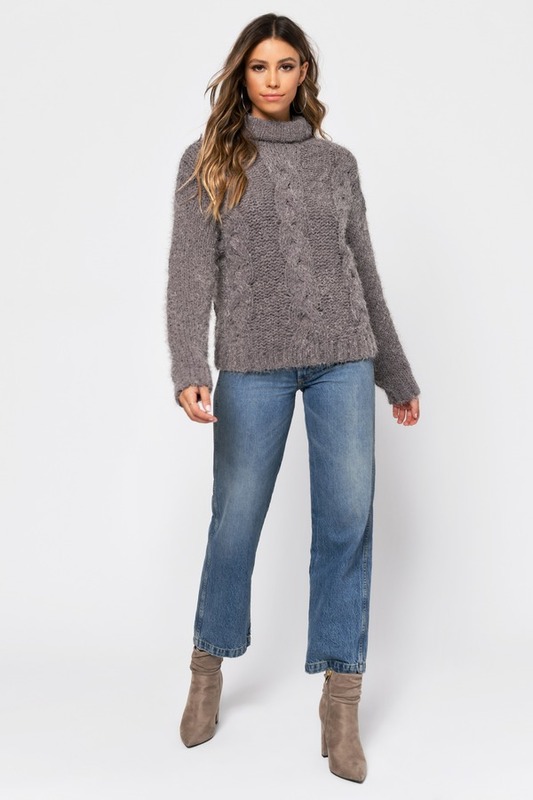 Check out Tobi's Come With Me Turtleneck Sweater Got the feels for all things fuzzy? Yep, us too. You gotta get the Come With Me Grey Turtleneck Sweater. This cute fuzzy sweater features a turtleneck construction, long sleeves, and knitting throughout on the softest, fuzziest fabric. You're going to love this turtleneck jumper with tight pants and booties. Got the feels for all things fuzzy? Yep, us too. 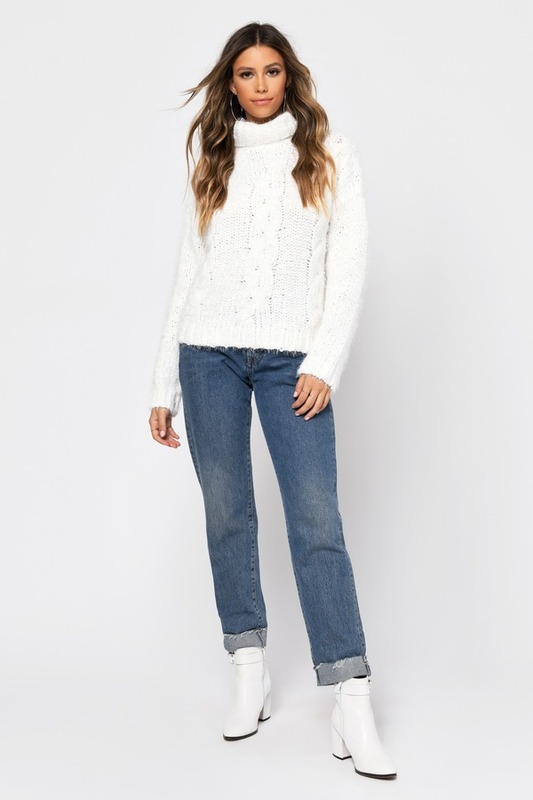 You gotta get the Come With Me White Turtleneck Sweater. This cute fuzzy sweater features a turtleneck construction, long sleeves, and knitting throughout on the softest, fuzziest fabric. You're going to love this turtleneck jumper with tight pants and booties. Got the feels for all things fuzzy? Yep, us too. You gotta get the Come With Me Grey Turtleneck Sweater. 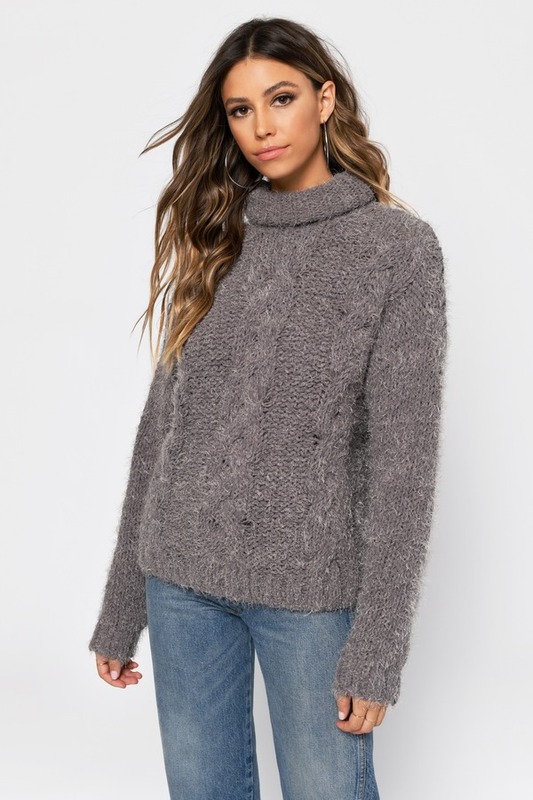 This cute fuzzy sweater features a turtleneck construction, long sleeves, and knitting throughout on the softest, fuzziest fabric. You're going to love this turtleneck jumper with tight pants and booties. White, Grey modeled on a size Small.